Booze always steals the limelight on St. Patrick's Day. Green beer and Jameson put that festive sparkle in your eye, but without food in your gut, that sparkle will quickly fade. On St. Patty's Day proper, The Shanty in Old Town Eureka and The Logger Bar in Blue Lake are both offering up Irish dishes to accompany their celebrations. Both shindigs start at noon and include corned beef and cabbage. The best part? They're free. If the pub scene isn't your cup of tea, there are other options. 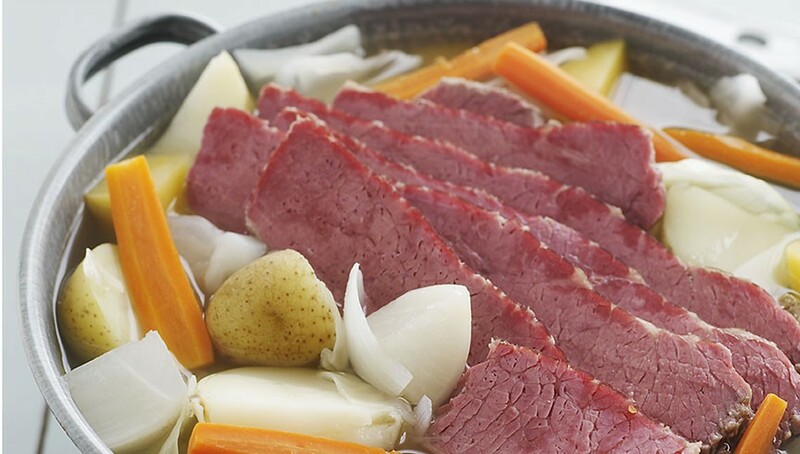 On Saturday, March 15 at 5 p.m., the Westhaven Center for the Arts is having an Irish celebration with a dinner of corned beef, cabbage, red potatoes, carrots, fresh-baked Irish soda bread and dessert. Seabury Gould and Evan Morden will bust out some traditional Irish tunes after dinner, so put on your dancing shoes. Dinner is $20 and the concert is $10, but you can do both for the bargain price of $25. If Westhaven is too far north, you can head to the River Lodge in Fortuna. The Knights of Columbus (really?) are hosting a Shenanigans Celebration on Sunday, March 16, at 5 p.m. You can enjoy a corned beef dinner and performances by the Emerald Coast Irish dancers for $20; if you're a kid, they day will only cost you $10. Dust off your best green threads, put a clover in your hat and prepare yourself for an Irish-packed weekend. Erin go bragh!